BF: Yeah, I’m not real big on traveling, but that’s what I do. The payoff is that I get to play music, so I shouldn’t be complaining. I’m so lucky to be doing exactly what I want to be doing. It would be awesome if there was some other way other than going on airplanes all the time, but that’s just part of the deal. 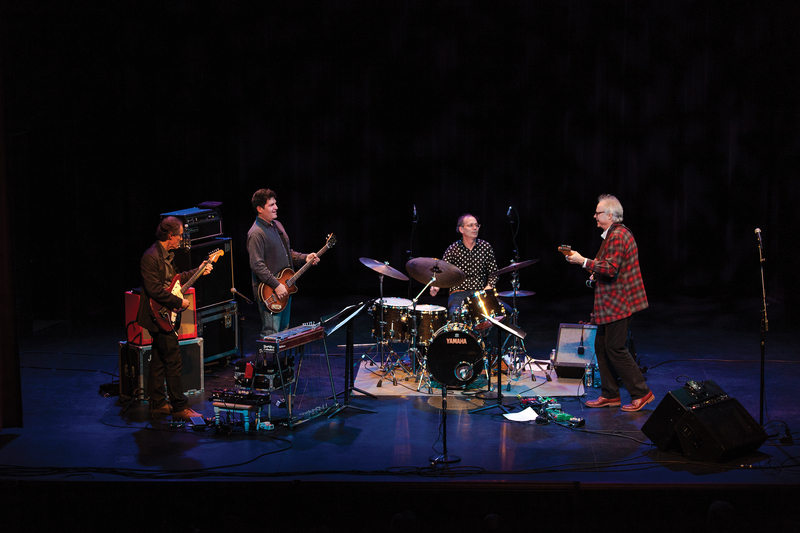 AM: One of the two concerts you’re giving in June at the Ottawa Jazz Festival is called “Guitar in the Space Age.” What is the theme of that concert? AM: Are you elaborating on the songs in some way? BF: No, we’re just playing the songs. A few years ago I did an album of John Lennon music with a similar experience – playing this music that had been so important to me early on, but looking at it through the lens of all this other experience. So it’s not trying to re-arrange it or change it or re-harmonize it or modernize it, but the most important thing for me is the language that I have with the band. You know, these are guys that I’ve been playing with for so long, so we just play the song but we’re using our own language. I’m trying to be true to the song – not just trying to recreate what it was. But at the same time it’s using that material and hopefully it’s transformed with the way we learned to play together. AM: Was it hard to choose from such a wealth of material? BF: Yeah, actually. That’s what I’m excited about. We did the album, which was the beginning of this. Already, we’ve started to play other songs and it could really go on for a long time. You think of one song and then it immediately brings to mind, “Oh yeah, but what about that one and what about this one, or this person and that person?” There’s so much to draw from. AM: How long have you been playing with this band? BF: I guess it was around the mid-‘90s when I met all of them at different times. I met Kenny Wollesen, the drummer, and then he introduced me to Tony Scherr, the bass player. It was incredible from the first moment we played. That was at the Village Vanguard. We got together to do a rehearsal and we started playing for about three minutes and it felt like we’d already been playing together for years. And then Greg Leisz I met around that same time, and it was that same feeing where I was introduced to him and we just ended up talking for a long time. I didn’t even know much about what he did, but just from talking to him I got this feeling that we were going to be playing together. And then after that we did. It was like it was meant to be or something. So I can’t believe it’s that long, but I guess it’s maybe 17, 18 years we’ve been playing, and in all kinds of different combinations and with other people too. AM: The other concert you’re doing at the Ottawa Jazz Festival is live accompaniment to the Buster Keaton film Go West. What is it about his films that appeals to you? BF: My first attempt at actually putting music to a film was in the early ‘90s when I did these Buster Keaton films. I learned so much from it, and with him it’s so rich with emotion. The first thing that comes to mind is maybe this kind of slapstick, cartoonish falling down and all that kind of stuff – the comedy of it. But I think anybody who knows his stuff knows that, but it’s so much more than that. There’s so much sadness – it’s just a huge range of emotion that’s in those films. So it gives you a lot to bounce off of. And it’s the way I think about music. All the stuff I love about music is visually in those films. 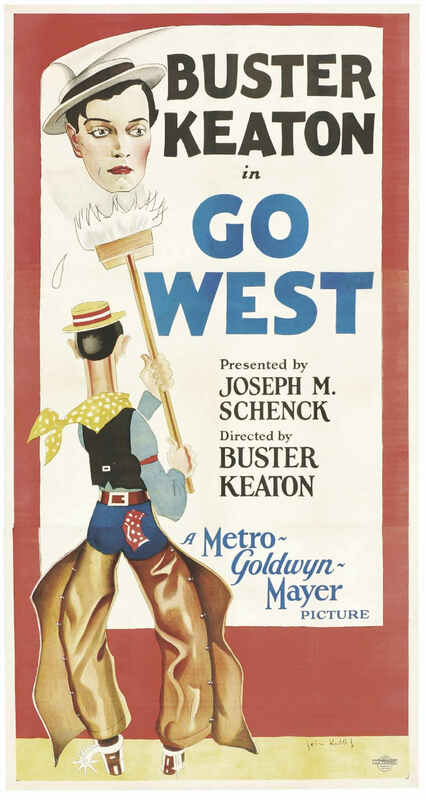 Go West is more than an hour long and it’s actually much slower-moving than some of his other films. There’s more space in it and I think it kind of lends itself to the way this group plays – this sort of spatial element. The last time I played for that film was way more than 10 years ago with a different group, so I want to rethink it and re-adapt it for this group. But I was thinking it would fit really great with the sound of this group with having Greg playing steel guitar. AM: Your first instrument was the clarinet, and then you started the electric guitar. 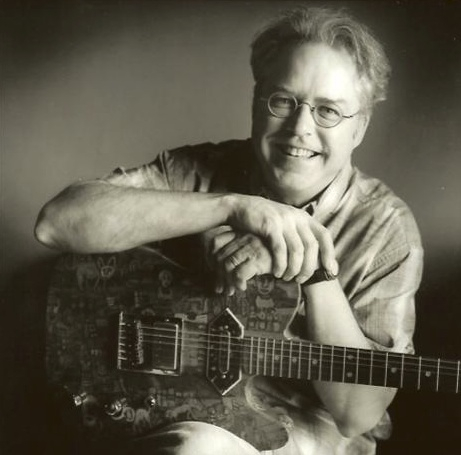 What was it about the electric guitar that you liked so much? BF: It’s just been there for as long as I can remember. From a really, really little kid I remember always being fascinated with it – you know, seeing it on television. 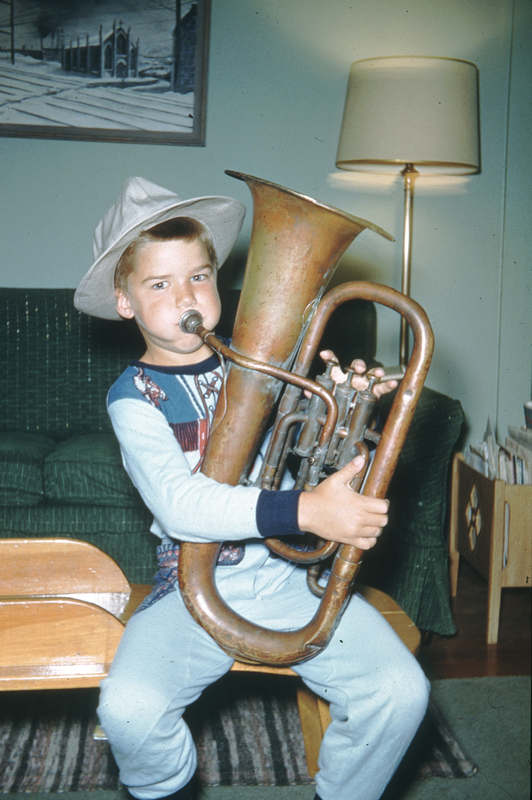 And then growing up during that time it just seemed sort of normal – so many people had guitars. There was a time it was almost like sports or something. People would play baseball and then they would play guitar. 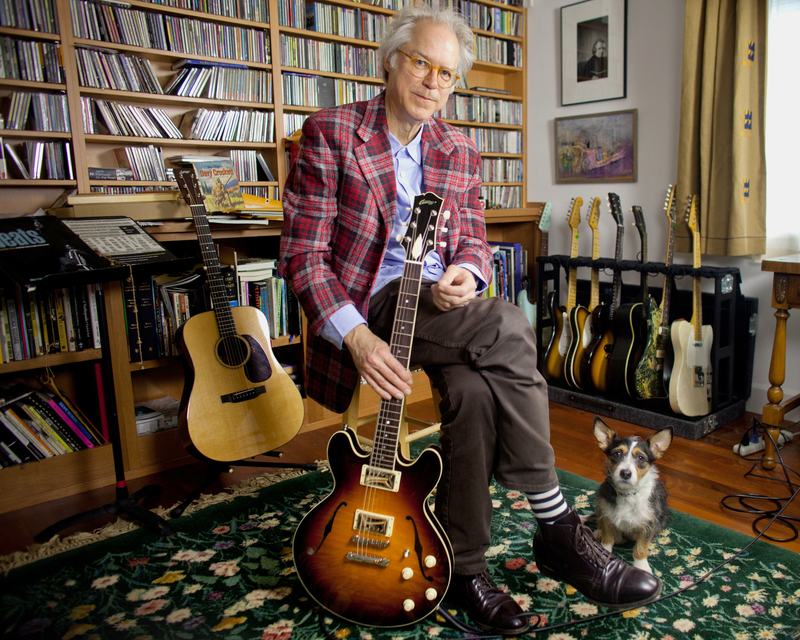 But before I even owned my own guitar, my friend across the street when I was 10, 11 years old – there was a guitar at his house, and another kid that I played with had a guitar there, so it was just something that was around at the time. And – I don’t know – I just connected with it. Somehow I just never put it down. I kept doing it and doing it and doing it. I did play the clarinet all through school and even into college. I was pretty serious about that. And I learned so much basic music building block stuff from doing that, but I don’t think my heart was ever in it in the same way. Guitar I was always just drawn to it. No one had to tell me that I should go practice. I would just go to it on my own because I loved it. AM: Which guitar do you prefer to play the most? BF: I’m mostly playing some kind of a Telecaster type of a guitar. 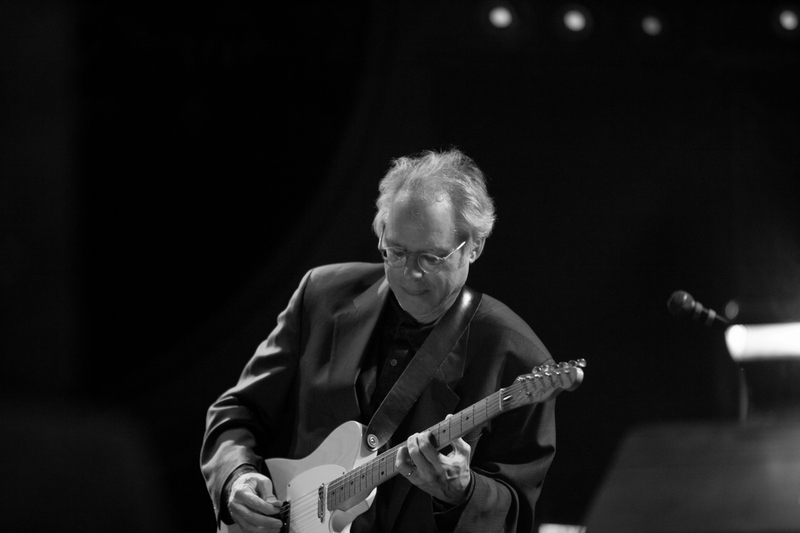 The Fender Telecaster came out somewhere around the time I was born, in 1950 – I was born in 1951. 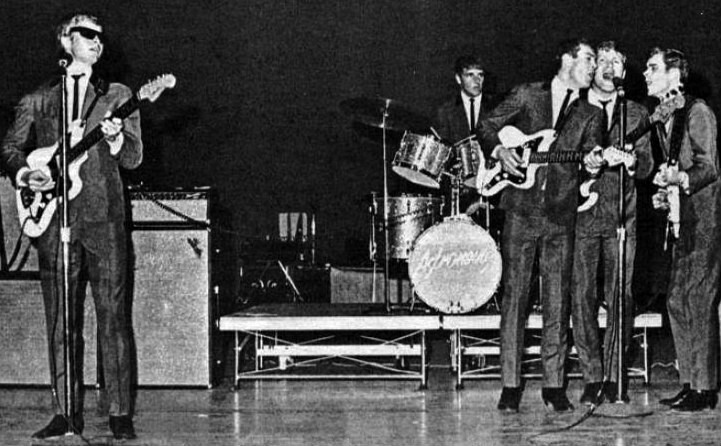 Somehow they just got the electric guitar right at that moment. It’s pretty much what I play all the time. Something very close to a version of the first Fender guitar. Everything I need is right there. AM: Do you have a lot of other guitars too? BF: Well, it kind of mounted up. They sort of accumulated over the years. But then travelling, also. You know, I don’t have roadies and tour buses and all that stuff. I can’t carry them around with me, so I just carry one. AM: You’ve released around 40 albums of your own of different kinds of music. In general, is there a way that these projects get inspired or started? BF: It’s nothing that’s really planned out. It’s just in the nature of the music itself. From a real small scale to a larger scale you just play one note and then it makes you think of another note. Or you play one song and it makes you think of another song. Or you think of one person and then it leads you to another person. So I’ve never had to figure it out. I just sort of follow wherever it takes me. You know, you can go in a million different directions but there’ll be something pulling me a little stronger in one way or another. There’s always some opportunity or there’s some sort of question or something that you want to try to figure out. A lot of it is just trying to learn more. It’s like this never-ending sort of obsessive thing. It can make you crazy. There’s no way you’re ever going to figure out the whole deal, but I have to try to be comfortable with that – taking one step at a time. AM: If you could meet or play with any musician of the past who is no longer living, who would that be? BF: Oh, wow. I can’t even . . . There would be so many. Sometimes I try to imagine what things really sounded like, like what did a Beethoven symphony sound like the first time it was performed. Or even stuff that we hear now, like a really early recording of Robert Johnson. What did he sound like if you were just sitting in the same room? I can’t even imagine what that would be like to be sitting next to something like that. I mean, even in my own lifetime I’ve gotten to hear so many things live – I almost wish I could go back. 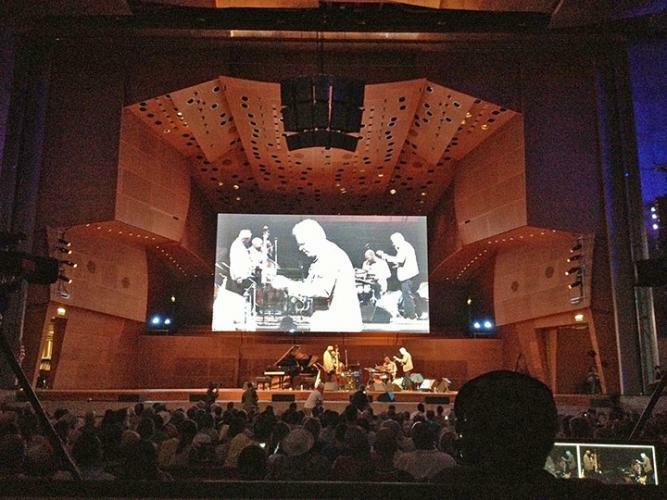 I heard Thelonious Monk play when I was 17 years old, and I couldn’t even comprehend what was happening. Sometimes I wish I could go back and hear that again and know what I was hearing. Or I heard Jimi Hendrix play, but it was just this huge wall of sound coming at me. Of course it was an amazing thing but sometimes I wish I could go back and – through this lens of what I know now – just check it out again. AM: You’re going to be releasing your CD Guitar in the Space Age in the fall. Do you have any idea of your projects after that one? BF: Well, just to keep going. I just hope I can stay healthy enough to keep going. It all just takes care of itself. Even with this project, it could just go on and on and on playing different music, so I never get stuck with what to do next. AM: There is a meditative, reverent, devotional quality to much of your music. Can you describe the world that you enter when you play or compose music? BF: I think it’s impossible to describe, but I have to say whatever’s going on when I’m playing, that’s the place where I really feel like everything is making sense. That’s where I feel like I’m at home or when I feel safe. Everything lines up. As long as I’m playing it’s just the most amazing world to be in. I’m struggling now to try to describe it. When I’m playing there’s not that problem – it’s just the music says everything that needs to be said. It sounds naïve, but I really believe that I wish everybody could play or be in music somehow because it gives you some idea of how we could all get along – just the way music works with harmony and rhythm. You know, there’s tension and there’s release and there’s dissonance and there’s harmony and there’s all this stuff, but there’s a way that it all can work together. I wish everybody could feel that. I just feel so lucky. 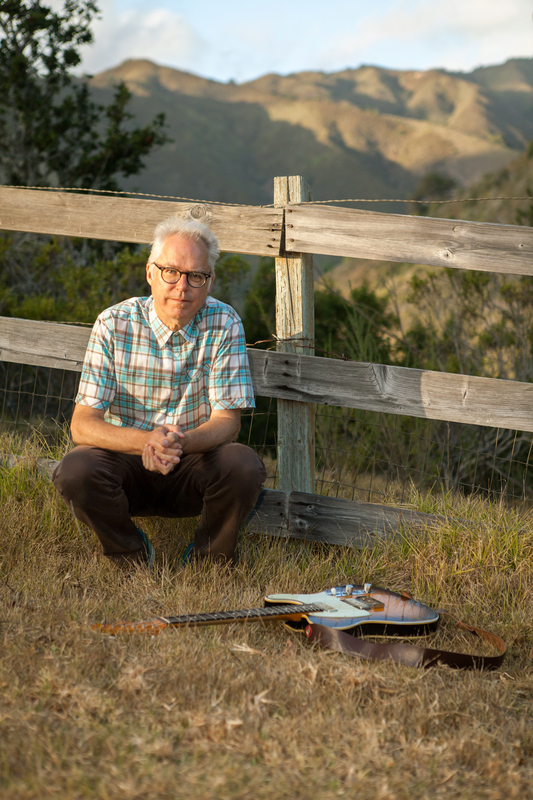 Bill Frisell’s busy touring schedule takes him to the Vancouver International Jazz Festival on June 22, Calgary’s Ironwood Stage and Grill on June 23, and the Ottawa Jazz Festival on June 24 and 25, followed by many other dates in Canada and the U.S. For more information about Bill Frisell, visit his website www.billfrisell.com. 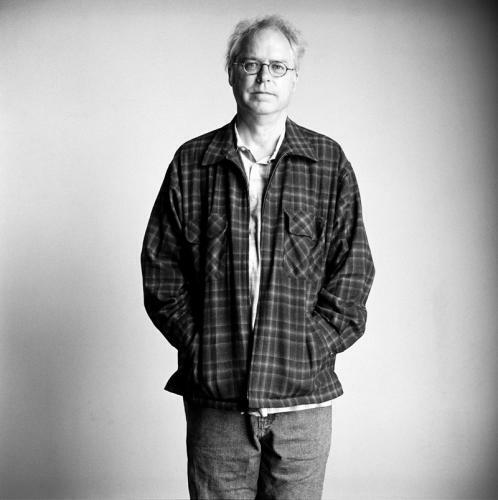 This entry was posted in MUSIC and tagged American guitarist, American jazz composer, Bill Frisell, Buster Keaton, Buster Keaton music, Electric guitar, Fender Telecaster, Go West, Grammy Award, Greg Leisz, Guitar in the Space Age, Interview with Bill Frisell, jazz guitar, Kenny Wollesen, Monica Frisell, Music, Ottawa Jazz Festival, Tony Scherr, Unspeakable CD, US guitarist. Bookmark the permalink. Really interesting, AM! I’m forwarding to Chris. I’m sure he will enjoy this.